Eco-Polis is an International Master in Smart City, Urban Creativity and Local Collaborative Development. Eco-Polis is an itinerant course for an advanced and multi-disciplinary training aimed to provide knowledge and innovative practices in sustainability and local development through the integration of a wide range of expertise. After 10 successful editions and more than 160 graduates from 15 different Countries, for the 2013 edition the course is now renewed. The Mapaus Master course , after five editions, became Eco-Polis Master (2007). Today once again the Direction of the course reorganizes subjects and disciplines, to better address the challenges posed by global changes taking place. 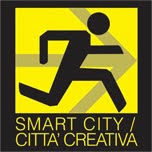 Smart City, Urban Creativity and Local Collaborative Development are currently the major themes and topics through which to decline and practice local sustainable development of cities and regions, both in rich countries currently in crisis, as well as Italy, Europe and Japan and USA, both in emerging countries, in Latin America, Asia and Africa. The financial and economic crisis, which began in 2008 and worsened in 2010, raises new questions and new social, economic, urban and environmental needs, in a new framework of knowledge, technologies and practices of a different consistency. Above all, the change concerns the capacity of public institutions in promoting development and transformation. Multilingualism (40% of the lectures in English, 30% Italian, 15% Spanish and Portuguese), because Eco-Polis has no boundaries and, in 10 years, its students demonstrated to be able to speak and communicate in three different languages. 7 students are now professors of the Master Eco-Polis and they are able to manage the course and the workshops.